LÂM ĐỒNG — The People’s Committee of the Central Highlands’ Lâm Đồng Province has decided to fine a company more than VNĐ320 million (US$14,400) for violating environment regulations. 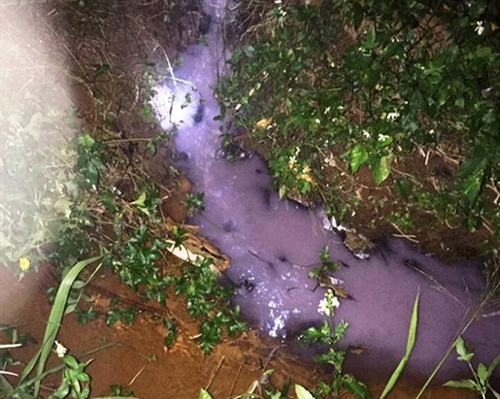 The Bảo Lộc Silk Joint Stock Company, based in the province’s Bảo Lộc City, was found to have discharged untreated wastewater into the environment at the rate of 10.56cu.m per day. The wastewater was released into a spring that runs behind the company and then flows into Đồng Nai Lake. The company also failed to install and operate waste treatment facilities as it had committed and to abide by other environment protection regulations. The provincial authorities asked the company to immediately stop releasing untreated wastewater and to take measures to deal with the consequences.